Fair Value and 2015 Belmont Stakes Odds: Odds play an extremely important role in playing a race. No one wants to take a horse that goes off at odds lower than their “fair value.” What is fair value? Those are the odds in relation to the horse’s actual chances of winning. 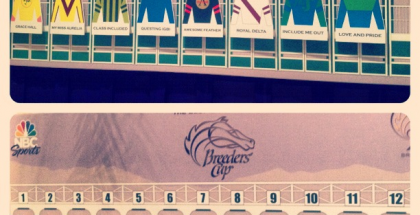 Only the bettor can determine their fair value for each horse. For example, if someone decides that 4/5 is fair on American Pharoah for the Belmont Stakes (GI), then the bettor skips making a win bet if that horse falls below 4/5. If the odds balloon to 2/1, then American Pharoah becomes an overlay according to the bettor’s odds. There are handicappers out there that think going against American Pharoah, currently with 1-2 odds, is crazy. Whether taking a shot with another horse is worth the money and effort remains up to the individual. The odds that everyone sees on the board only reflect the win pool. 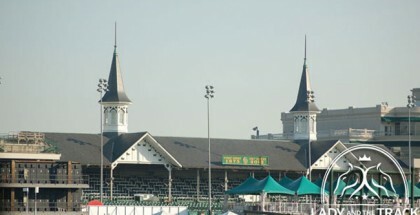 Theoretically, a different horse could become the favorite in other pools such as the daily double or pick four. Yet, most of the time the pools align. Morning line odds were set for the Belmont, but changes can occur once the actual betting starts and people start putting money into the pools. In American Pharoah’s case, his morning line odds of 3/5 look accurate. This horse will obviously receive action as the one going for a Triple Crown. A good number of bettors consider American Pharoah invincible, and others scoff at the idea of going against the star of this field. Needless to say, the star colt is respected from all sides. Yet, there is doubt out there, and the hard fought Kentucky Derby (GI) win has scared off some people. It is unlikely the Pharoah goes too far below 3/5. At most, 1/5 is a reasonable guess, and even money is about the highest his odds can drift. Frosted and Materiality are the next public favorites, and out of the two, Frosted is the one more likely to fall below his morning line of 5/1. For one, Frosted is simply a beautiful, gray horse. 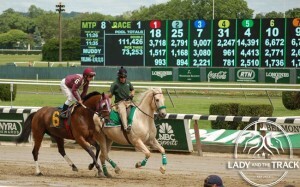 He is also a Tapit colt, and there are plenty of Tapit fans. Because he made a big move in the Derby, bettors will notice that too. Historically, horses that close well in the Derby become overbet in the other Triple Crown races. Materiality, a late runner in that race too, may escape this fate and hold close to 6/1 because his coast is not gray and Frosted has received better training reports. Then again, Materiality’s sire is the popular Afleet Alex and high percentage Todd Pletcher trains. 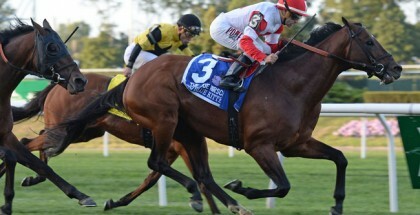 Madefromlucky, 12/1 and trained by Pletcher as well, just won the Peter Pan (GII). Last year, Tonalist used the Peter Pan to springboard his way into a Belmont win. But, Madefromlucky is not going to attract as much attention because of his low speed figures. If not 12/1, this Lookin at Lucky colt should drift upwards around the 15/1 to 20/1 range. This means Mubtaahij will hold his position as the fourth choice. His starting odds of 10/1 are probably accurate, because even though the colt finished eighth in the Derby and lost by over nine lengths, he retained popularity on social media and his pedigree is revered by experts. To put Mubtaahij’s popularity in perspective, Frammento was less than two lengths behind Mubtaahij, and his initial odds for this race are 30/1. Frammento’s odds are going to stay around there. Although trainer Nick Zito is an expert at spoiling Triple Crowns, Frammento does not hold the same fan following on social media, nor the reputation that Mubtaahij gained in Dubai. Tale of Verve and Keen Ice round out the field. The oddsmaker made Tale of Verve 15/1, and if he drifts up, something around 20/1 is the ceiling. With the legendary Gary Stevens aboard, fans are going to bet Tale of Verve on that angle alone. Plus, his Preakness (GI) run was visually impressive as he closed strongly to finish second. Traditionally, deep closers trained by Dallas Stewart are in the mix on bettors’ tickets in the Belmont. Dale Romans trains Keen Ice, who finished seventh and just ahead of Mubtaahij in the Derby, but he does not enjoy the status Stewart gained of training longshots to hit the board in Triple Crown races. Curlin, Keen Ice’s sire, is a fan favorite in his new career. In fact, there is a Twitter account with the title “Curlin Babies.” Only so many horses can take money though, and Keen Ice was outkicked by Frosted and Materiality. The given 20/1 sounds right on the money. As stated above, there are handicappers out there that think going against American Pharoah is crazy. Whether taking a shot with another horse is worth the money and effort remains up to the individual. 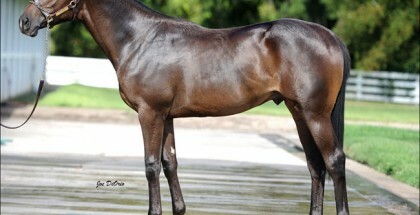 Maybe there are fans out there that truly believe this horse is a lock. Others want to try and use longshots underneath him in exotics, a reasonable strategy to generate more money out of an American Pharoah win. Yet, the concept for finding value in the exotics pool remains the same, despite no odds board. Perhaps an American Pharoah/Frammento exacta pays $80 with the true “fair value” being $120? Nevertheless, poor bets that hit make more money than smart bets that lose, at least in the immediate sense. Sometimes, and especially for newcomers, just enjoying the race while placing a few bets is what really matters.